Micromax’s sub-brand YU, launched its 3rd 4G budget smartphone YU Yunique for Rs. 4,999. After using it for around 3 days, I can easily say its the best one can get under this price range. Most of the users root their smartphone to install custom ROMs, mostly Cyanogenmod. But, YU phones come with Cyanogenmod preinstalled so installing custom ROMs won’t be the major reason for rooting your YU Yunique. But, except custom ROMs, there are lot more things to do after rooting your YU Yunique like Installing Xposed (Top 10 Xposed modules) or installing Apps which require root access. Note: If you follow any of the procedures given on this page. You only are solely responsible for your device. We won’t be liable if any damage occurs to your device and/or its components. Refer this guide to install ADB and fastboot drivers for YU Yunique. Go to Settings > About phone, and then tap ‘Build number’ 7 times. Go back to Settings, then choose now visible ‘Developer options’. 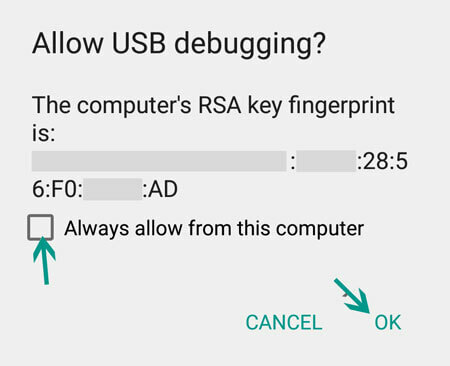 Find the ‘USB debugging’ option and use its toggle button to enable it. Accept warning by tapping on OK button. Connect your phone to PC now. You will get a pop-up as shown below on your phone when you connect for the first time after enabling USB debugging. 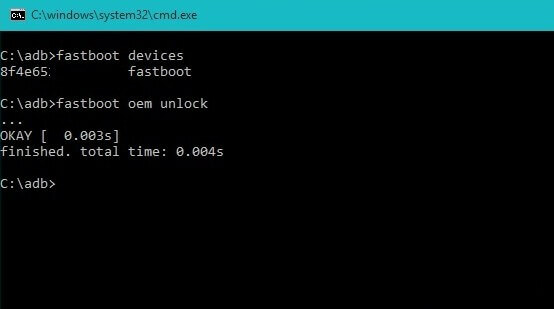 Unlocking Bootloader of YU Yunique: To install custom software’s in your Android device, you need to unlock your device’s bootloader. Installing TWRP Recovery: TWRP Recovey replaces stock recovery of YU Yunique & allows flashing custom zip files. Installing SuperSU zip: SuperSU hooks into your device’s system files & creates a bridge for SuperSU app to allow other apps to modify System files. Step 1. Download & Install ADB Drivers while your device is connected to your PC. Step 2. Copy the SuperSU.zip file in your device (Internal memory/SDcard). Step 3. Press Volume UP and then press Power button, after seeing YU Logo leave Power button but keep Volume Up pressed, You will get a vibration and device will boot into recovery. Step 4. Using Volume Up and Down key Navigate to Reboot to Bootloader and then press Power Key to confirm. Step 5. Extract Root Toolkit & launch command.bat file. Type the below command to check if everything is working well. Step 7. Your device will reboot to system. You have successfully unlocked bootloader of YU Yunique. Step 1. Again switch off your device & get into bootloader by following the above procedure. Type the below command in the command.bat file. Step 2. 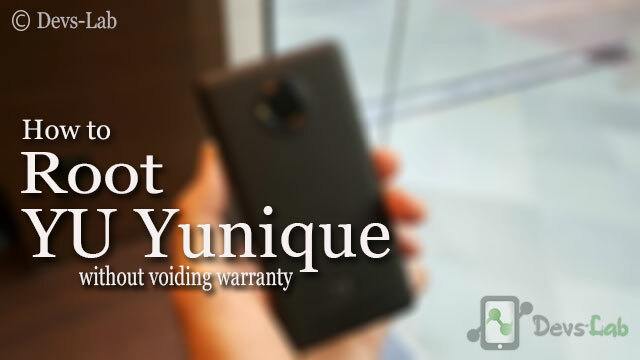 You have successfully flashed TWRP recovery in your YU Yunique. To boot into TWRP recovery, press and hold Volume down + Power button simultaneously. Step 1. Now switch off & remove the USB cable, Press & Hold VolumeDown+ Power button simultaneously. This will boot your device into Recovery mode. Step 2. Select Install zip file & locate the SuperSU.zip file. Swipe to Install. That’s it. You have successfully rooted your YU Yunique. Many users face difficulty in installing ADB drivers & report “Device not showing in ADB”. So, check if ADB drivers shows “Installed” next to the device name. If you have any other queries, drop a comment below. Cheers! All the Google Play Store error codes & How to fix them.